During the process of property purchase, you or an appointed person has the right of final inspection. Generally, this process is carried out during the 5 business days prior to the settlement day. The Real Estate Agent completes the final inspection with you. A reputed real estate conveyancer in Perth would be able to provide you with a Check List to use during your final inspection! 1. What do you need to check? Check all lights work both internal and external check switches check power points check appliances like that of the dishwasher, oven/grill, hot plates, heaters/air conditioners, exhaust fans or the reticulation controller check hot water system solar-check booster check pool pumps and solar heating pump check two RCD switches installed check hard wire smoke alarms are not over 10 years old otherwise they need to be replaced If there is a bore, check pump is working. Check toilets flush turn on taps check for leaks and pressure make sure hot water is hot check reticulation sprinklers check pool pumps not leaking. Door locks Keys to doors, windows and sheds Remote control for garage Security system Instruction manuals for any electrical appliances Warranty details Ask the seller to provide you with the user manuals of all the electrical appliances if they still have them. You can usually download these for yourself from the internet. 2. The best defence: As per the terms stated in the standard contract of sale, a real estate property should be delivered by the vendor in the similar condition as it existed on the day of sale. In between the time of final contract sign. 3. Some final points of importance: You are only entitled to one inspection prior to settlement unless otherwise specified in your contract. 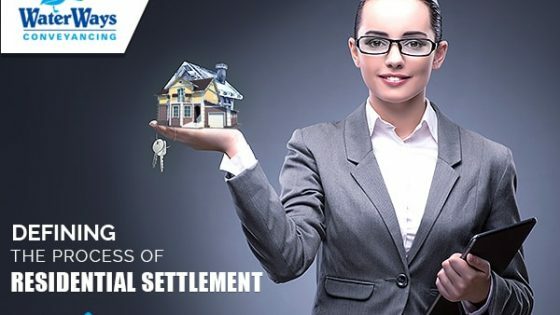 If there are any issues that arise and the seller agrees to fix them, you are not usually allowed to go back to check again before settlement is effected. Usually your Real estate agent will keep you updated with the progress of any repairs. 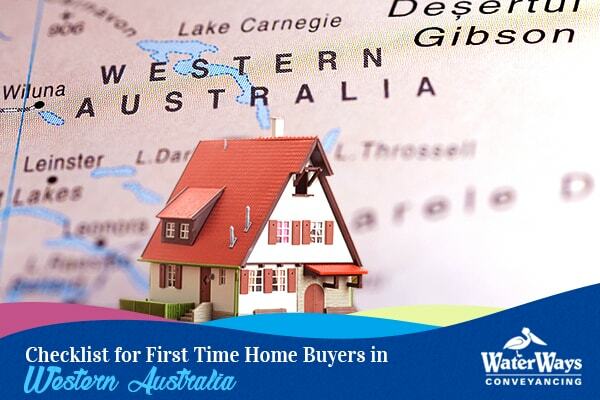 Gaining insights on the significance of a final inspection from the expert of the residential settlement industry, the ‘Waterways’, is an eye opener. 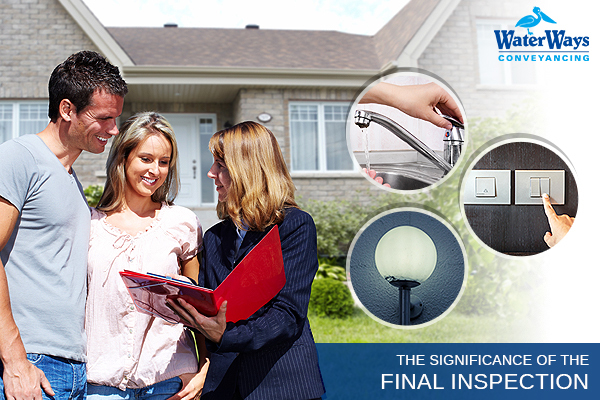 Information in relation to final inspection was extremely helpful! We will implement the tricks before shifting our address.